Submitted by lynn on Friday, April 28, 2017 - 2:17pm. 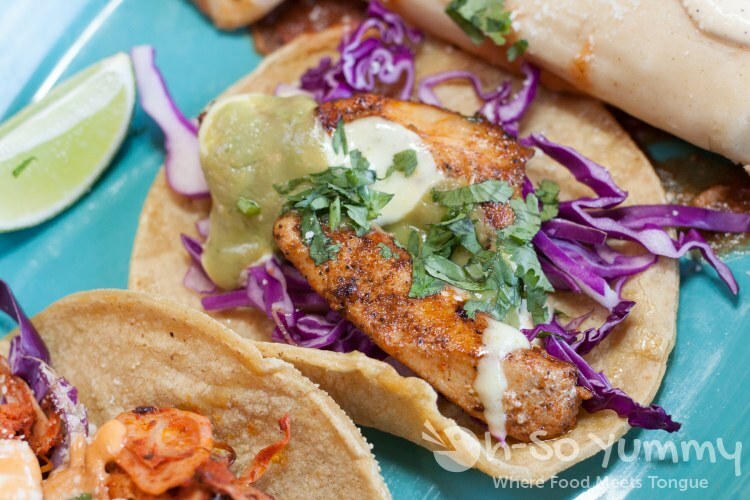 What's not to love about reasonably priced food and delicious to boot? 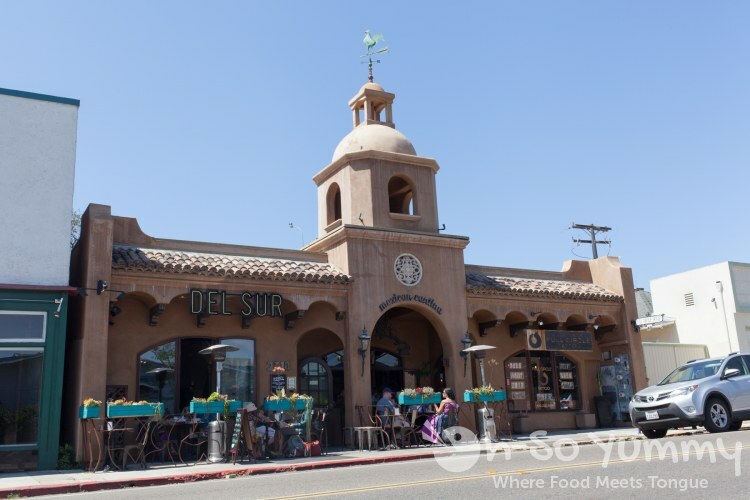 Del Sur Mexican Cantina serves as a casual sit-down that offers traditional Mexican fare while being vegetarian, kid and dog friendly. 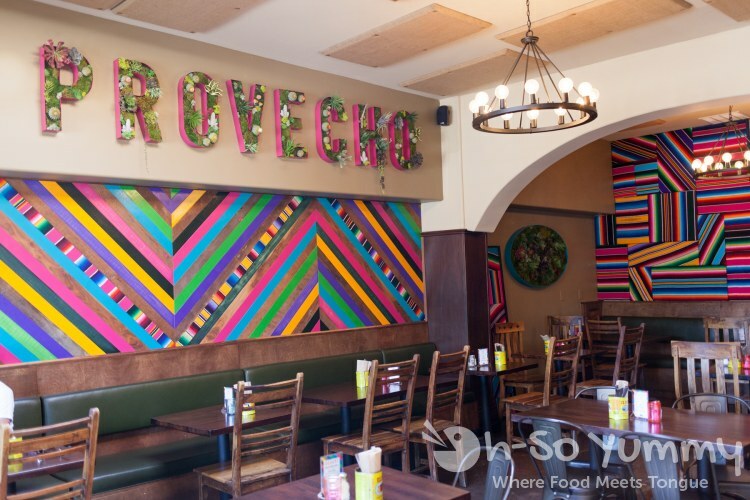 Opened for about a year in South Park, it joins the restaurant family of The Haven Pizzeria and Kensington Cafe. One cheery Saturday, we dropped in and picked out a high top table near the windows. I couldn't help noticing the beautifully organized bar, which soon became part of our brunch kickoff. 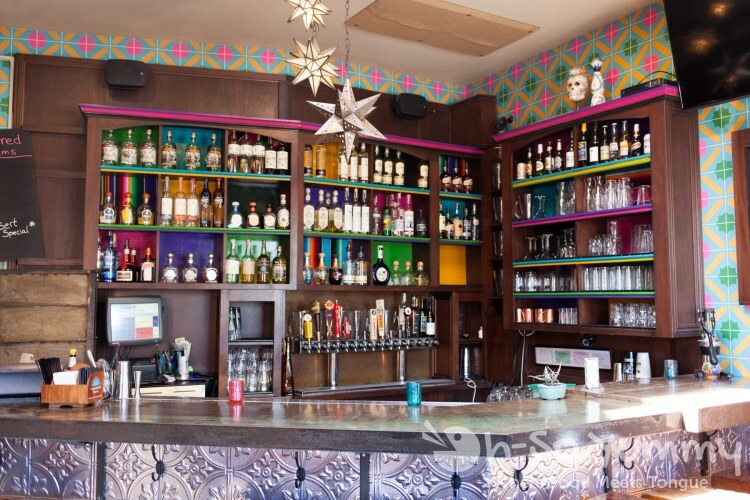 Tequila options from mezcals and blancos to anejos filled the shelf, and even included two special 'super anejo' and 'diamente' varieties. Admittedly, we have quite a tequila bar at home but fun cocktails grab our attention when we're out and about. My Cadillac Margarita included the restaurant's homemade lime agave and had subtle hints of lime with more orange accents. 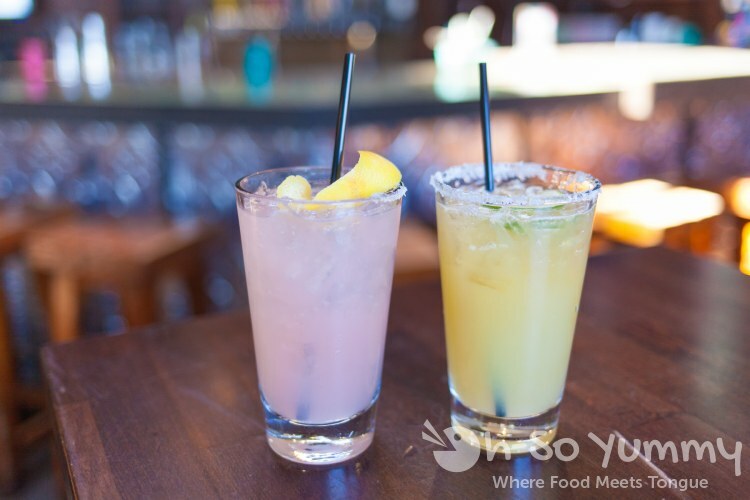 Dennis must be a grapefruit fiend because his Paloma didn't have enough grapefruit taste (similar opinion for Duck Dive). This might be something we experiment with at home in the future. That day I found my new favorite salsa paradise: a deep chipotle infusion with just enough flame to tease but not burn my pepper-sensitive mouth. 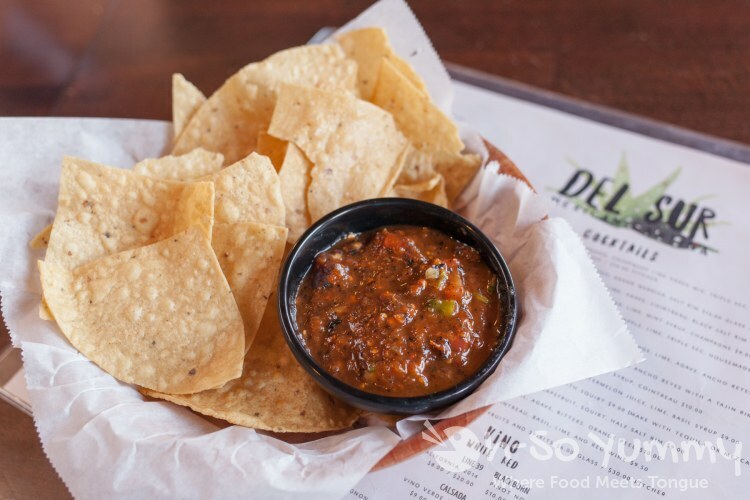 The thick consistency made for easy dipping with the fresh and well salted chips. You better believe there was a second round to be had! After a taste, I started shoveling the lightly creamed kernels into my mouth almost as fast as the salsa had disappeared. It made us wonder if we'd fill up on appetizers prior to our entrees. Slow down cowgirl! Since it was a weekend brunch, we opted for a breakfast hash. The pork was pan fried crispy but still juicy, just the way Dennis warms up our homemade pulled pork. The potatoes could have used more fryer time. Beans were salty in both entrees and staff agreed it was a bit heavy handed that morning. We declined a replacement since there was plenty of food on its way. I do enjoy exploring the less-spicy peppers, especially in a stuffed cheesy form! The pepper walls weren't too thick or oily like other places, and near the tail end, I obsessed over the pan fried crispy skin of the pepper. That was the dreamiest part of the dish! 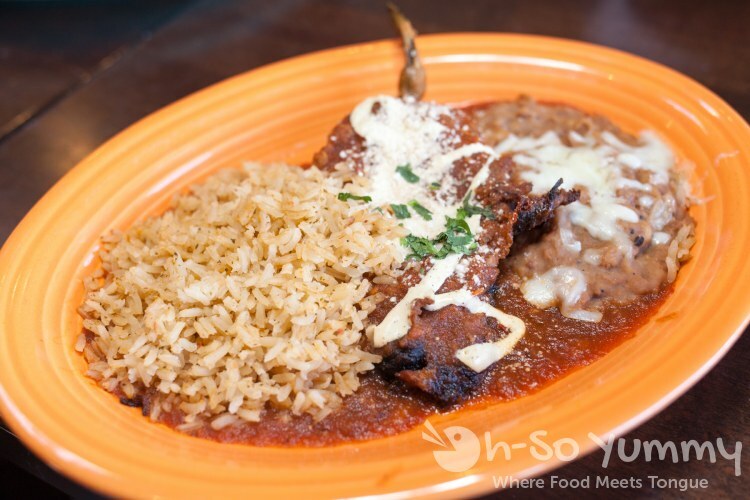 We also ordered a few a la carte items since beans and rice were already included in our first two entrees. 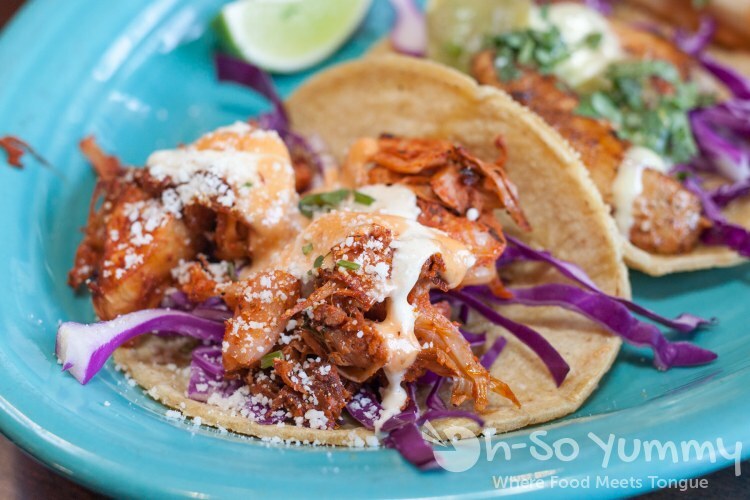 First question we asked when our plate showed up was "Which one is the jackfruit taco?" It looked just like shredded meat! Even after tasting it, we had to get one more confirmation that no meat had been added! Let's just call it jackmeat, ok? DIVINE. 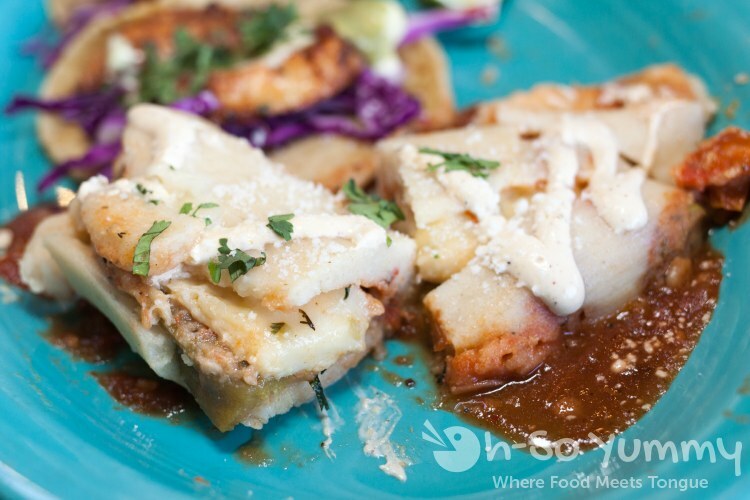 The adobo flavor against the crunch of the red cabbage and spread of crema was spot on and highly recommended. 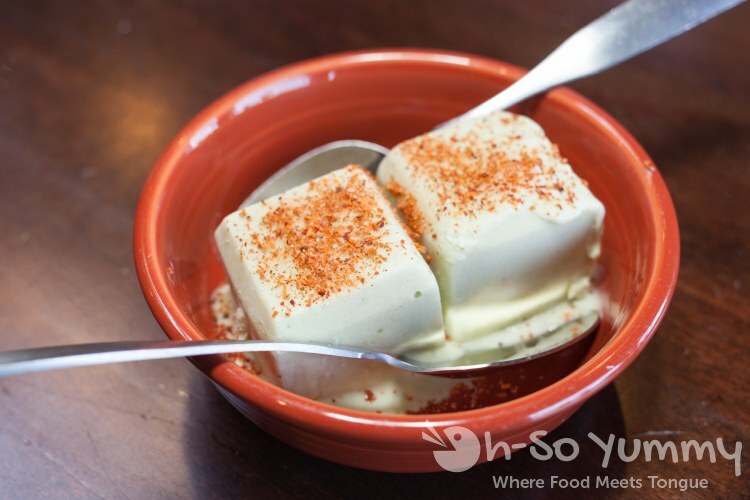 For dessert, I ordered their vegan ice cream (currently lime avocado), mainly to satisfy my curiousity of my favorite dessert... sans milk. Would it be scary or scary good? The most surprising part was the texture, so firm and chilled that the spoon slid around rather than sliced through. It needed some melting time so we could really dig in. The promient lime taste reminded Dennis of his childhood eating fruit ice cream from the Viegnamese grocery store. I wish I had known it came with tajin because it was all I could taste, even after attempting to scrape off prior to my bite. This flavor wasn't my cup of tea but I'd be willing to give another flavor a try. 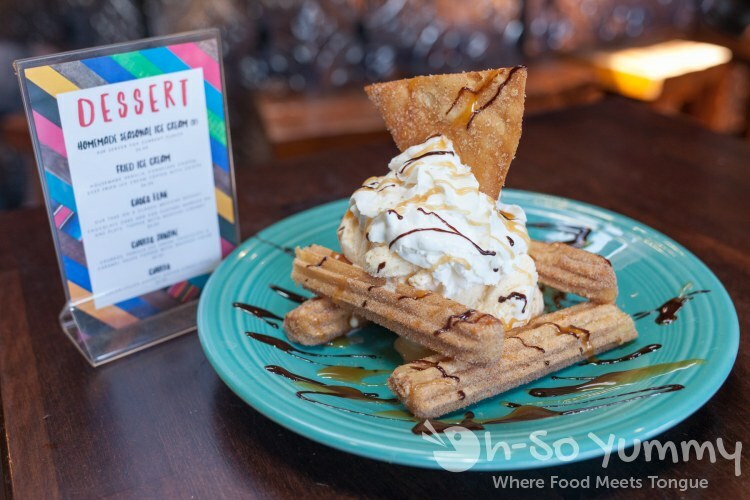 Do I sense a recent churro dessert theme (Duck Dive, Encontro)? We can't resist sugar and cinammon urges! These had a custardy filling and were slightly doughy inside. A vanilla ice cream scoop and crispy chip decor finished the plate. Portions were plenty for one person. By the way, the dessert sign matched the decor! I was amused by this little detail! Despite leaving the restaurant bursting at the seams, we were already anticipating the next visit for more salsa and the rest of the kickass items. 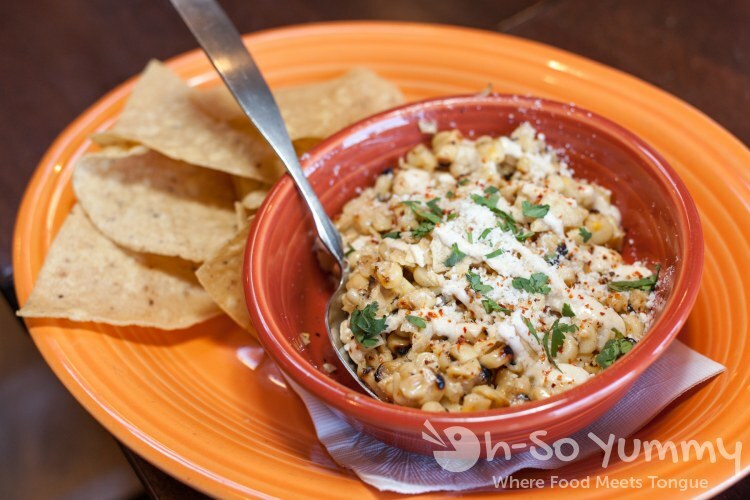 Del Sur Mexican Cantina is another great addition to the South Park neighborhood! 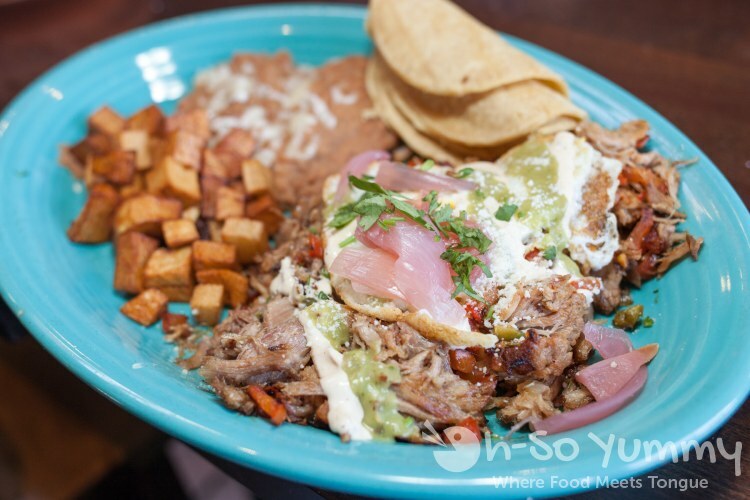 That's a yummy looking breakfast carnitas! I usually like to eat my carnitas in taco form. I like the looks of the churro dessert too. I usually eat my churro's plain but dipping them in ice creams sounds good. i like carnitas in many forms. ice cream works with most desserts!